Tropical Paradise Banquet & Conference Center offers over 4,000 square feet of flexible space to cater to all your event’s needs. Bring in your own food or we can cater it! We can do it all for you– so you can enjoy the event! Tropical Paradise Banquet & Conference Center offers over 4,000 square feet of flexible space to cater to all your event’s needs. We are dedicated to help our clients create unforgettable events for a price that fits within their budget. From large scale to more intimate gatherings; our ballroom can accommodate a range from 50 to over 200 guests. Conveniently located just off I-95 and Marina Mile, this ideal location will make your next event one to remember! Contact us today to discover how we can create your memorable event for a remarkable price. When you hire us for full-service event planning, we carry out every aspect of planning from centerpieces to color schemes. Depending upon your event type, we can provide a buffet service or fully individually-plated and served meals. Our menu includes a variety of cuisines. From Latin to French, the Caribbean and International cuisine, our catering team have developed an array of distinct and delectable menus fitting to your style and taste. At Tropical Paradise Banquet Hall, it’s important for us to bring your ideas to life. Our event venue team works closely with you to provide the décor, linens, tableware, flowers, and other details to best match what you have in mind for your special occasion. Every couple wants their wedding reception to be a fun, memorable experience for their guests. At Paradise Banquet Hall, that’s exactly what you get! Our atmosphere is everything you want for your big day: romantic, energetic, upscale, and extraordinary. Our location adds a romantic touch to the venue, and we work closely with you to make it happen. Quinceañeras are extremely important for some girls and her parents. We work hard to match the décor and catering to the quinceañera theme, and to ensure that everything is just the way the birthday girl wants it! 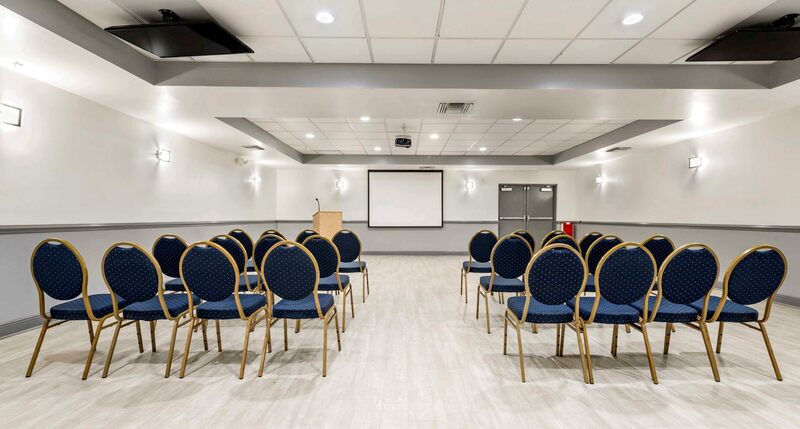 Delicious food, a roomy dance floor, and plenty of space for your family and friends: Paradise Banquet Hall is an ideal event venue for quinceañeras! Come and celebrate with us! Celebrate big! As special occasions that mark a certain landmark in your life, birthdays such as bar and bat mitzvahs, Sweet 16s, and your 50th require an amazing party. At Tropical Paradise Banquet Hall, our goal is to make your day as special and fun as possible, with the perfect food, entertainment, and décor to match the vibe of your event. Celebrations at Tropical Paradise are truly amazing!